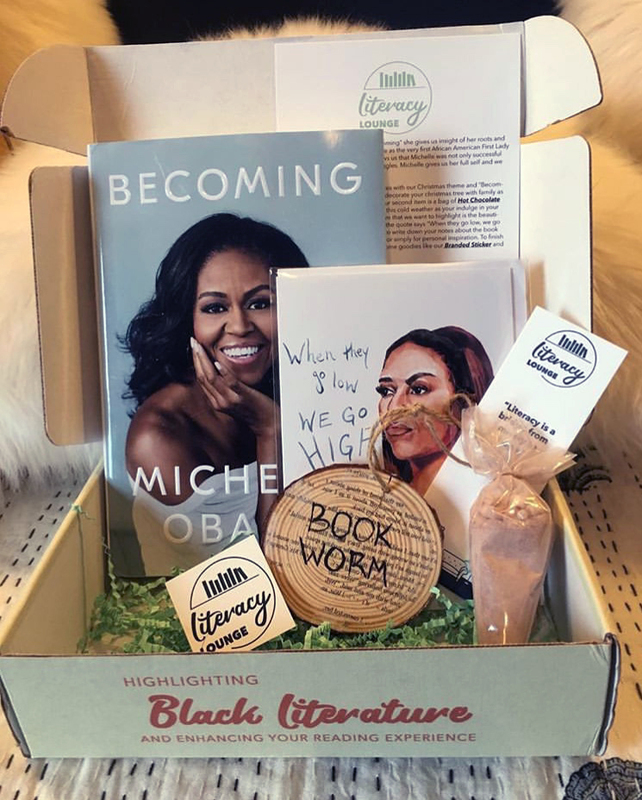 Literacy Lounge is a monthly subscription box that highlights Black literature and offers a simple approach to enhancing your reading experience to a better healthy and conscious lifestyle. Each month you’ll receive a book and 2-4 items related to the book and/or items that stimulate relaxation. Simple! Choose a plan that’s right for you & start setting up your account. We have different subscription options so you can find the perfect fit. Give us a try—if we aren’t your type, it’s easy to cancel. Start setting up your account to sign up for a box this month! Choose a plan that works for you. We have designed different options to fit your needs. You will receive your curated box the 3rd week of the following month! Through research and personal experience, we have learned that reading is one of the best ways to relieve stress. Whether you're an avid reader or an occasional one, we know choosing a book can be difficult. We’re here to help. Enhance your reading experience with new items that are in theme with the book and/or stimulate relaxation. We believe that through literacy, the sharing of thoughts, and conversation you can bring communities together and through communities you can change the world! The perfect gift for a loved one or try it out for a month to see for yourself! Everything you need to indulge in a new book so you can read, relax and repeat. Enjoy a new surprise/gift arriving at your door each and every month. Pay $107.94 up front & Save $9.00 for committing to three months! Pay $206.88 up front & Save $27.00 by committing to six months! Boxes will ship during the last week of the month and you will receive an email confirming that shipments are on there way! You will receive your box during the first week of the month. How do I get my product featured in your box? We’re always looking for new products! If you want to work with us, please feel free to reach out through email support@theliteracylounge.com or contact us on social media @literacyloungebox. We are normal people just like you so please, don’t be shy! One book by a Black Author. 2-4 items that will depend upon the theme of the book. (Ex. A month with a theme centered around self love may include items such as a self love card, teas, or quote cards etc.). Can I subscribe if I am not African American? Of course! No matter your race or ethnicity, if you love books written by Black authors and are interested in learning about history, the world, or even yourself than we are the subscription box for you! Can I join your Book Club even if I have not subscribed? Absolutely! We want to bring others together and start a community, not make you pay for it.